Pittsburgh has so much history related to the Underground Railroad. 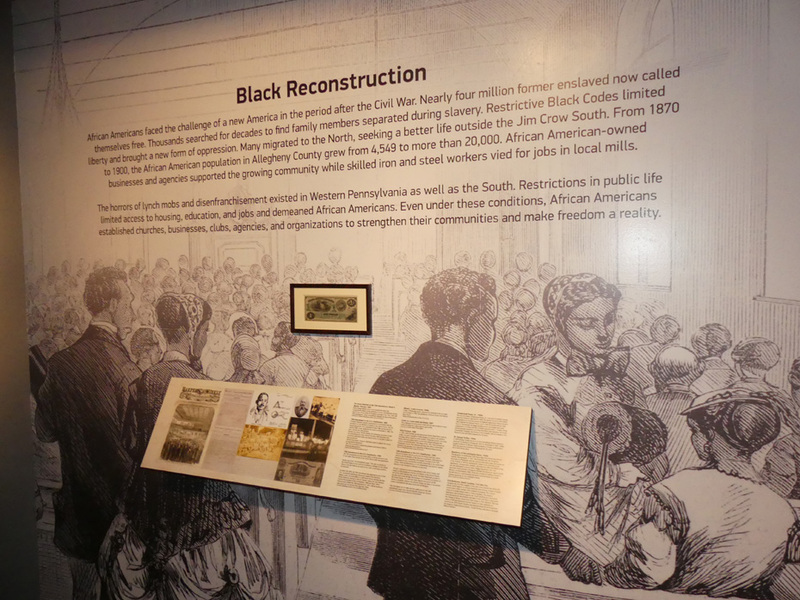 Senator John Heinz History Center has an exhibit, From Slavery to Freedom, that tells the story well. They use the term “freedom seekers” or “runaway” instead of fugitive slaves. 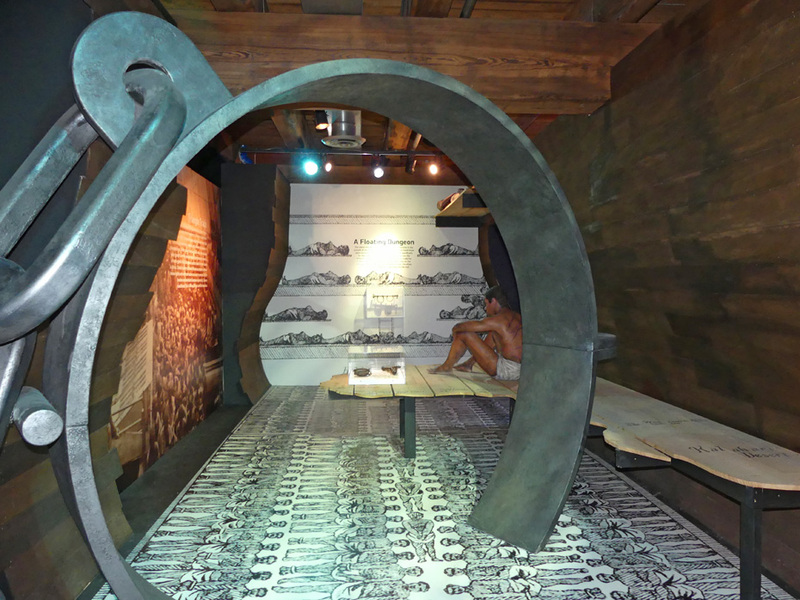 The exhibit begins with the slave trade. The image used in my header is the first one you see as you enter. 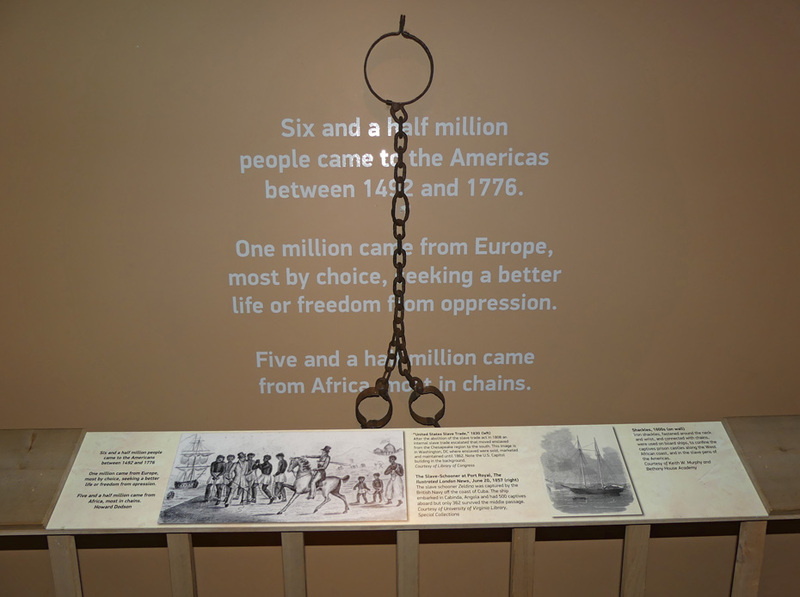 There are actual artifacts like slave shackles and informative stories. There are recreated items like a slave ship and interactive places where you push a button to hear personal stories or information. From Slavery to Freedom leads you through the earlier years of African American slavery and how many people saw the evil it was to present day. The focus is always on Philadelphia and specifically Pittsburgh. Slavery had existed in Pennsylvania since 1681 when it began as a British colony. However, they were one of the first states to pass laws designed to eventually abolish slavery. Powerful Philadelphia groups like the Quakers were the first to denounce it. This didn’t end slavery in Pennsylvania but created a ongoing battle between slaveholders and abolitionist groups. This is portrayed in the exhibit with letters and images. By the 1830s, Pittsburgh had taken their legal stand as abolitionist community. 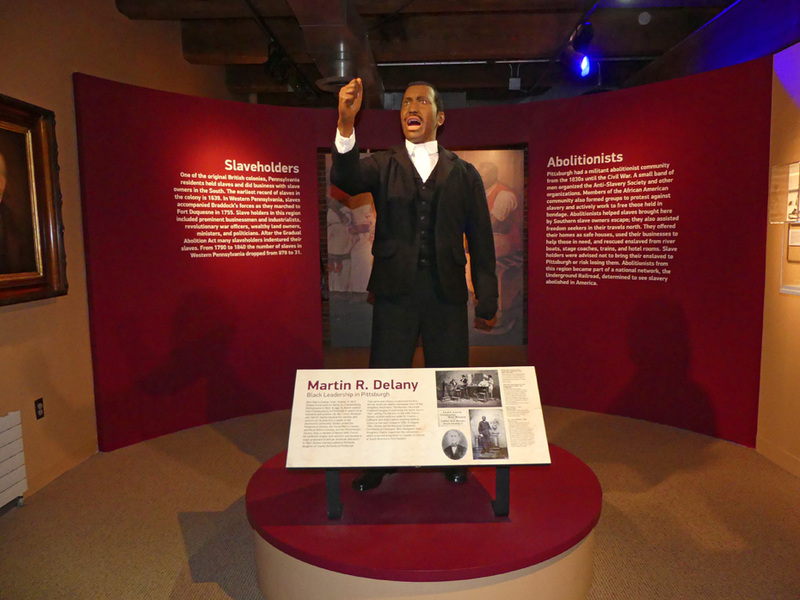 Exhibits of stops on the Underground Railroad and key figures in the movement are featured. One of the stops was the Monongahela House Hotel, now long demolished. It was staffed by African Americans who helped the freedom seekers escape. There is lots of interesting information about the escapes planned there. Another was Dr. Julius LeMoyne. His home is located in Washington, Pennsylvania and open for tours. There is a model in the museum. Another stop was Peck's Oyster House owned by a well-to-do freeman named John C. Peck. 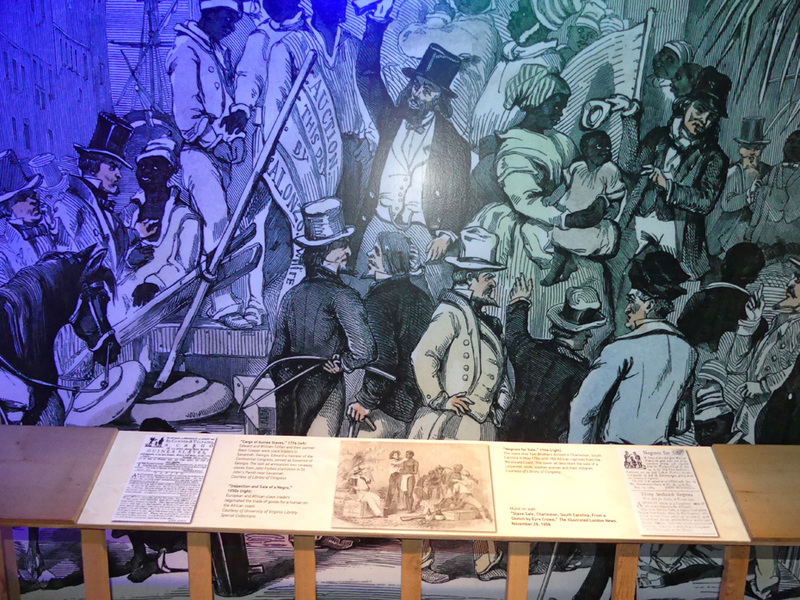 There are lots of exhibits about the economic factors driving slavery. Cotton is the best known but there were others. 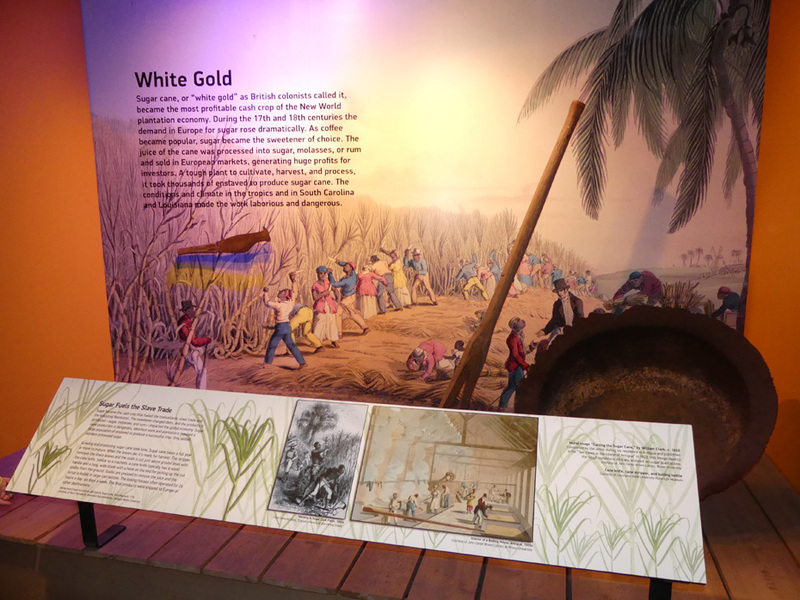 Sugar was called "white gold" in the 17th and 18th century and was a particularly hard labor for slaves. Rice demanded huge labor forces. Indigo was a profitable crop. All of these external reasons producing and maintaining slavery are explored in the exhibit. From slavery to Freedom moves on to the Civil War and the contributions made to the war by African Americans. One in particular commemorates Alexander Kelly of the 6th USCT. He won the Medal of Honor for his bravely at the Battle of Chaffin's Farm, Virginia during the Civil War. It reads "Gallantly seized the colors, which had fallen near the enemy's lines of abatis, raised them and rallied the men at a time of confusion and in a place of the greatest danger." From Slavery to Freedom continue on with the Reconstruction years and on to modern times portraying Pennsylvanians who have contributed to their people's ongoing fight for equality. From Slavery to Freedom has won many awards, including African Diaspora World Tourism Award, Cultural Exhibit Flame Keeper for From Slavery to Freedom, for Dedicated Service in Cultural Heritage Tourism; American Association for State and Local History, Leadership in History Award; the PA Museums Presidents and S.K. Stevens Awards. 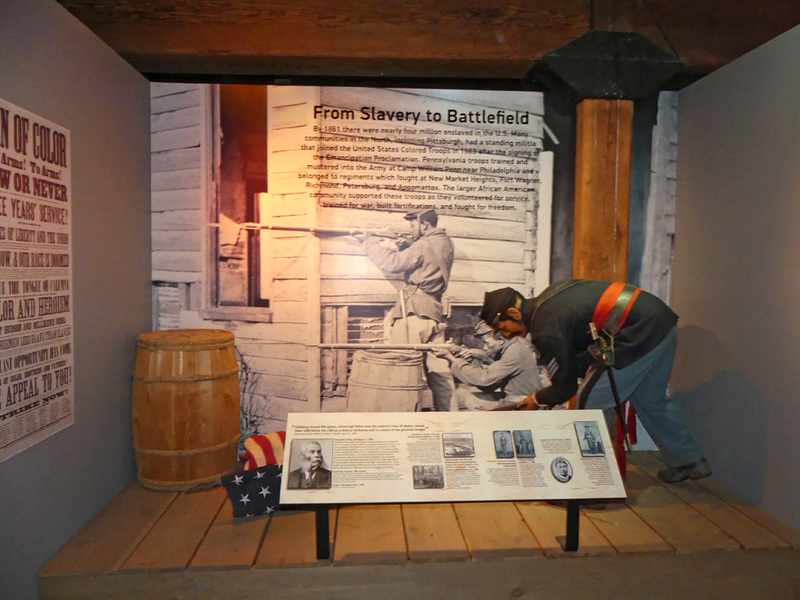 One of the most outstanding freedom fighters was Reverent John C. Peck who is mentioned in the museum exhibit. According to a book by Lisa Speranza and Nancy Foley called Allegany Cemetery where they tell about each person buried in Allegany Cemetery, the Original Oyster House was once the site of Peck's restaurant. They state that slaves being helped escape from Monongahela House Hotel were "hidden in Peck's Oyster House until river transportation could be arranged." 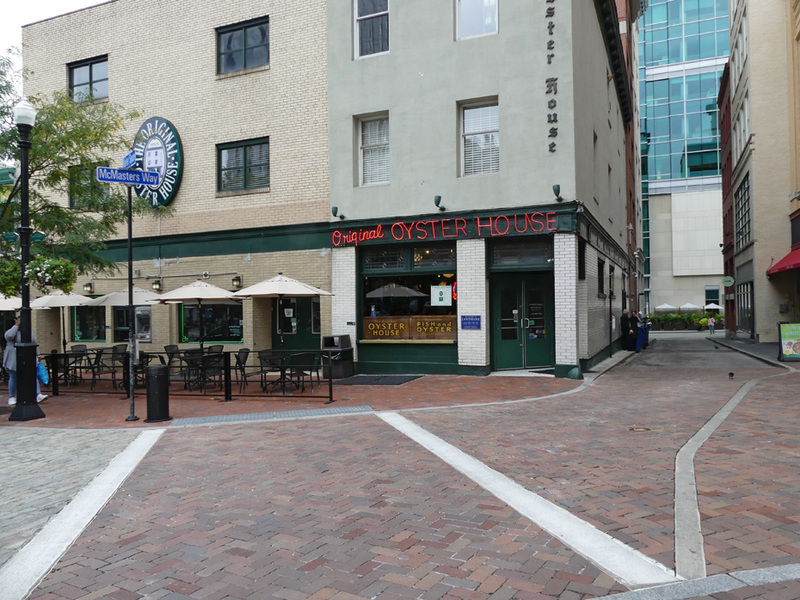 I could not find proof that it was the same building but the Original Oyster House is known to be the oldest restaurant and tavern in Pittsburgh founded in 1870. Whether it had been Rev. Peck's oyster house before that or not, it is in a similar location and worth a visit. Another Pittsburgh native that has helped in the fight for his people's equality is August Wilson. Wilson's Pittsburgh Cycle, sometimes called his Century Cycle, consists of ten plays. All but one of which are set in Pittsburgh's Hill District. Ma Rainey's Black Bottom the exception is set in Chicago. (For more about Ma Rainey see here.) His best known, Fences, won a Pulitzer Prize and a Tony Award. 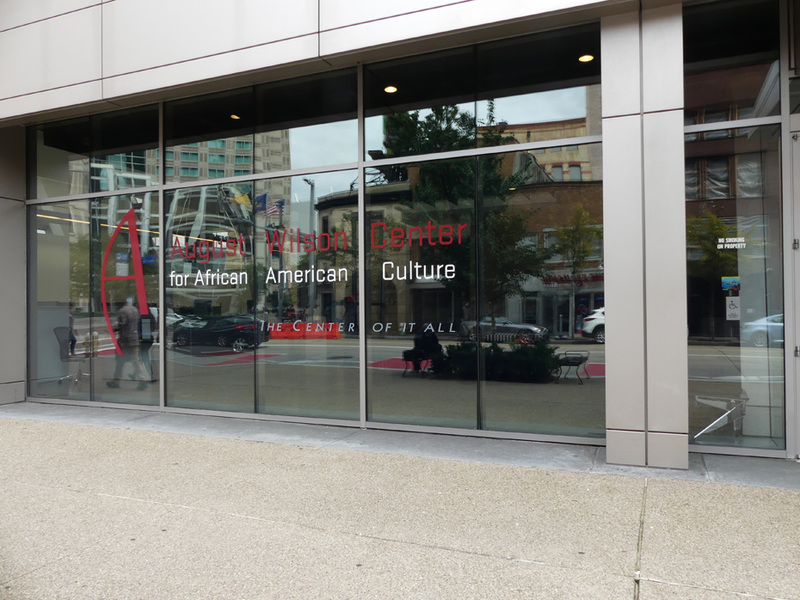 The August Wilson Center is a performing center for drama and music and also a venue for art related to the African American Experience.